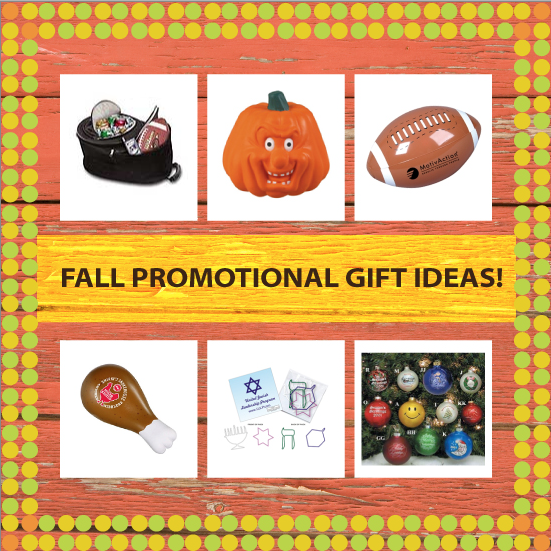 Welcome Fall with Printed Promotions! Here comes Fall along with seasonal holidays such as Labor Day, Halloween, Thanksgiving, Hanukkah and Christmas. Don’t forget the start of football too! Before the fun we all enjoy with family and friends, we welcome you to boost your business with printed promotional gifts. Fall events, with the help of promotional products, will aid in building your promotional campaign and increase sales. Fall is a season where it’s easy to find something that will interest your clients. There is so much going on, no matter what your interest are. Easily incorporate Fall Events into your promotional campaign to engage social interactions. Take a look at our Holiday Items & Gifts for great ideas! admin August 08, 2012 Comments Off on Welcome Fall with Printed Promotions!